I'm looking forward to Nova Ren Suma's IMAGINARY GIRLS. Lovely cover, brilliant synopsis. Can't wait! I'm not new to your blog, but this is the first time I've ever commented! Oh, man! Other than Across the Universe? I'm looking forward to Clarity by Kim Harrington. I am looking forward to Cloaked by Alex Flynn. Thanks for the giveaway! I have so many 2011 books on my wishlist. Other than Across the Universe, I'm also looking forward to Angelfire by Courtney Allison Moulton, Clarity by Kim Harrington, and Memento Nora by Angie Smibert. I'm looking forward to This Side of the Grave by Jeaniene Frost, out Feb. 22! I'm looking forward to Beauty Queens by Libba Bray. I know it's going to be acerbic fun. I'm looking forward to reading XVI! I am waiting for The Lair Society by Lisa and Laura Roecker. I'm a follower, thanks for the giveaway! the books im looking forward to are... Other Words for Love by Lorraine Zago Rosenthal -- love books about first love, and i bet ill love The Day Before too. Also, ACROSS THE UNIVERSE! I'm not big on SF, but this one sounds irresistible. besides that, liar society by lisa and laura roecker and possession by elana johnson sound good too! Great giveaway. I'm looking forward to Where She Went by Gayle Forman. SO many great books coming out in 2011! I am looking forward to Drought by Pam Bachorz. Sounds intriguing. 2011 looks to be a promising year! There are so many books that I am looking forward to reading. Like a lot of other commenters, I'm really excited about Angelfire! I'm really looking forward to reading City of Fallen Angels by Cassandra Clare. Great giveaway! The books that I was mostly looking forward to was City of Fallen Angels by Cassaundra Clare, Across the Universe by you ;), Clarity by Kim Harrington, and Dead Reckoning by Charlaine Harris! Thanks for hosting a great giveaway & for an OMG gotta have book! I can't wait for Shadowfever by Karen Morning and River Marked by Patricia Briggs. Great giveaway! Ooh, ooh, OOH! we wants it, precious! Two books I pumped about in 2011: Across The Universe and also TEXAS GOTHIC, a new ghost mystery coming out from Delacorte by Rosemary Clement Moore! Aside from Across the Universe (which I'm REALLY looking forward to!) I can't wait to read Red Glove, the next Curse Workers book by Holly Black. She's fabulous and I LOVED White Cat! I want to read ACROSS THE UNIVERSE so badly! At least if I don't win, I don't have too long of a wait! I do really want to read WITHER. I'm looking forward to its release. I am looking forward to Wither by Lauren DeStefano!! And Immortal Darkness by Cate Tiernan! As well as Across the Universe!! I really can't wait for City of Fallen Angels by Cassandra Clare. I'm looking forward to delirium by Lauren Oliver. I'm looking to a whole bunch of books for next year, but I really want to read Delirium by Lauren Oliver and Haven by Kristi Cook. I'm looking forward to City of Fallen Angels by Cassandra Clare. I'm looking forward to Cassandra Clare's City of Fallen Angels and Clockwork Prince! Other than ACROSS THE UNIVERSE, I'm so so very much looking forward to Veronica Roth's DIVERGENT. Is it cheating to say Across the Universe? Because that is what I'm really looking forward to most! I am REALLY excited for Across the Universe. Until I read it, it is the only thing on my radar. Though The Last Blue Envelope by Maureen Johnson is pretty exciting too! I am not very patiently waiting for Rick Riordan's book The Son of Neptune and for Cassandra Clare's City of Fallen Angels. I am looking forward to Desires of the Dead by Kimberly Derting. Shadowfever, ugh... Moning really left me in a bad place at the end of Dreamfever and I've been waiting months to put the mystery to an end. Thanks for the giveaway! And you're right, 2011 is gonna be huge for YA! I'm SOOOO desperately waiting for Divergent...it sounds and looks amazing! I'm looking forward to Across the Universe, of course! Oh my gosh, I don't know how I missed this post, and am so glad you tweeted a link to it. I would dearly love to read ACROSS THE UNIVERSE -- read the first chapter months ago and thought it was outstanding, and even thought about it on the drive to a relative's house last weekend, wondering what would happen next. But I'm also anxious to read your next book, because I remember your tweets about being inspired by Pink's "Glitter in the Air" performance (at the time that you must have begun writing this book), and the premise of the story is really intriguing. 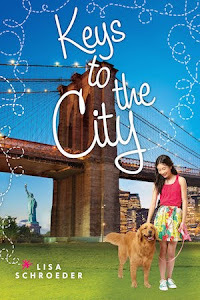 There are a number of books that I am looking forward to in 2011. FOREVER by Maggie Stiefvater is near the top. I'm really looking forward to Maggie Stiefvater's FOREVER. Great prize for the giveaway!!! I'm dying to read this book! I can't wait to read City of Fallen Angels by Cassandra Clare! I'm thrilled for Libba Bray's Beauty Queens. I'm really looking forward to Ghost Story by Jim Butcher and Spell Bound by Kelley Armstrong. I keep hearing really good things about Across the Universe too! Too many books.... Wither perhaps? Oh man there are so many good ones coming out! I am really excited for Desires of the Dead by Kimberly among others! Thanks for the giveaway. I'm looking forward to a new book by Beverly Lewis, not sure what the title will be yet, though! Actually, one of the books I'm most looking forward to is ACROSS THE UNIVERSE. 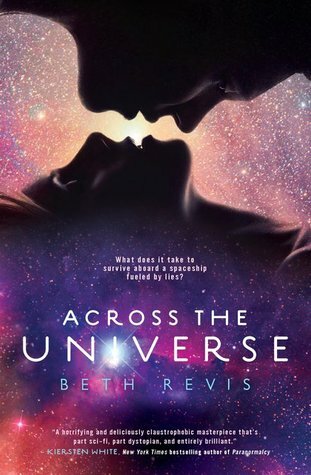 I'm looking forward to so many books in 2011, Across the Universe definitely being one of them! Also, POSSESSION by Elana Johnson and Wither by Lauren DeStefano. I can't wait to read Across the Universe, and also Possession by Elana Johnson! I'm looking forward to Possession by Elana Johnson and Trapped by Michael Northrop. I can't wait for Drought by Pam Bachorz. Other than "Across the Universe," I'm seriously looking forward to reading "Where She Went" as well as Sarah Dessen's new book. I'm looking forward to Hidden Away by Maya Banks. I am looking forward to Shadowfever by Karen Marie Moning. Of course "The Day Before" is on my list of to reads, I LOVED I Heart You, You Haunt Me. Also I'm excited for Demonglass by Rachele Hawkins. Hmmmm... that's a hard one. The book I guess I'm most looking forward to reading in 2011 (besides Across the Universe of course) is The Sweetest Thing by Christina Mandelski. I am looking forward to reading across the universe. There are TOO many great YAs coming out! Because I know Elana I'm looking forward to her book, Possession. I'm looking forward to Forever by Maggie Stiefvater!!! I am looking forward to The Water Wars! It sounds so great. AtU by Beth Revis! !, Wildefire by Karsten Knight, Ripple by Mandy Hubbard, Wolfsbane by Andrea Cremer, Divergent by Veronica Roth, Wither by Lauren DeStefano, Water Wars by Cameron Stracher, I could go on and on and on! 2011 is going to be a great year for reading!! I'm totally looking forward to Across the Universe! And XVI! Picking just one book is hard! So many good ones coming out in 2011 Red Glove by Holly Black is high on my list though. I cant wait to read My Unfair Godmother by Janette Rallison. Thanks for the giveaway- I can't wait to read your book! Im looking forward to Dreamfever and Etched in Bone. I really can't wait to read so many of the books coming out next year, but to pick just one... I pick tow off the top of my head. Where She Went by Gayle Forman and The Dark and Hollow Places by Carrie Ryan. Just so you know the list is much bigger than just these two. 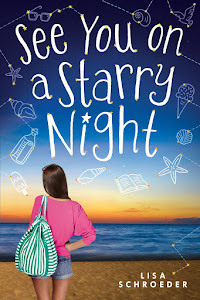 I'm looking forward to Away by Teri Hall! Cannot not wait to see what happends. I am so looking forward to reading Shadowfever by Karen Marie Moning. I'm really looking forward to so very many of the debuts coming out in 2011 but Falling Under & Across the Universe are at the top of my list. Looking forward to reading Warped and Across The Universe. Lisa! Your book, of course! Hmm, I'm really looking forward to Where She Went by Gayle Forman. 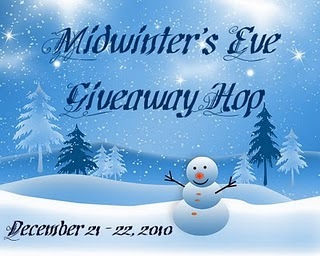 Great giveaway thank you so much so many great 2011 books coming out! City of Fallen Angels , Iron Queen, I can't wait to read The Day Before see whats next! Too many to list :) Happy holidays to You! I'm looking forward to Warped. And Drought sounds good too. I have to limit it to just one? Well yours releasing in June "The Day Before" looks great! "So Shelly", "Falling for Hamlet", "Hemlock", & "Paper Covers Rock." Just to name a few. Such a great giveaway! thanks for that. And for making it stress free. I'm looking forward to Desires of the Dead by Kimberly Derting! Among others. So many books to look forward to! Besides this one? Starcrossed by Josephine Angelini, definitely! I'm looking forward to Blue. There are so many books I'm looking forward to. City of Fallen Angels by Cassandra Clare, Cryers Cross by Lisa McMann, Shift by Jeri Smith-Ready... the list goes on and on! That's so much for the giveaway! There are so many books that I am looking forward to in 2011 that I don't think it would be fair to name just one. The Day Before of course is one I'm really looking forward to reading. Beauty Queens by Libba Bray is one I'm really excited for. I want some more Libba! Delirium as well even though I already read it. Wither is another one. It's so hard to pick just one. Not necessarily YA, but I can't wait to read Shadowfever. The Death Cure, By James Dashner. I'm really excited for the two new Chicagolad Vampires books by Chloe Neill. Thanks for the giveaway! There are so many that I'm looking forward to: City of Fallen Angles by Cassandra Clare and Where She Went by Gayle Forman! Ohh so many books, how do I choose? Also i am looking forward to read City of Fallen Angels by Cassandra Clare. I'm looking forward to reading The Sweetest Thing by Jill Shalvis. I'm looking forward to reading Delirium by Lauren Oliver. I'm really looking forward to Across the Universe, Angelfire, Wither, A world without heroes, and so many more! I think I'm most looking forward to This Side of The Grave by Jeaniene Frost and Lover Unleashed by J R Ward. Thanks for the awesome giveaway, I've heard nothing but good things about this book. There are so many books I'm looking forward to reading next year. Across the Universe is at the top of the list since it comes out in January. I also can't wait to read Dead Tossed Waves and The Gathering. SQUEEE! Now why I haven't I found your blog before? The book I am most looking forward to are your new books, The Day Before and Sprinkles and Secrets. Besides your book, I'm also looking forward to Clarity by Kim Harrington and Imaginary Girls by Nova Ren Suma. There are others as well, but it's a long list to choose from. Im looking foraward to Claudia Grays new one AFTERLIFE. I agree i think its going to be another great year for YA. There are a bunch of books I'm anxiously awaiting (besides ACROSS THE UNIVERSE). ANGELFIRE and CITY OF FALLEN ANGELS are two that are at the top. I have a LOT, but probably most excited for The Piper's Son by Melina Marchetta and Where She Went by Gayle Forman! I'm looking forward to City of Fallen Angels. I would like to read wildefire or warped or across the universe. So you mean, besides The Day Before because I'd REALLY like to read that one. lol. :P Another I'm dying to read is Mind Gap by the awesometastic Marina Cohen! I am looking forward to Wolfsbane by Andrea Cremer. One of the books I am looking forward to reading is The Four Ms. Bradwells by Meg Waite Clayton. I really want to read Across the Universe too though! Thanks for the chance to win! I'm really looking forward to The Demon's Surrender by Sarah Rees Brennan and Piper's Son by Melina Marchetta. I'm looking forward to Torment! In addition to ACROSS THE UNIVERSE, which is #1 on my list of books to read in 2011, I'm also looking forward to The Demon's Surrender by Sarah Rees Brennan, and City of Fallen Angels by Cassandra Clare! I'm looking forward to reading "Pale Demon" by Kim Harrison. Happy Holidays to you! Wow. I am so glad that I found your blog! I just read Far From You this winter...I love novels in verse and yours was no exception. Thanks for writing great books for teens--I am an English teacher and rely on authors like you to write great books to hook my students on reading. Anyway, to your question...I am excited about all of the realistic and dystopian books coming out in 2011. Sounds contradictory, but this is what I love to read. I can't wait for Wither and Across the Universe, but am also excited about the Contemps books. Thanks for the giveaway--I am a new follower and can't wait to see what you're up to! I'm looking forward to reading the next Immortal Instrument book by Cassandra Clare! I'm looking forward to reading Claire de Lune that I just got! and maybe Across the Universe too if am lucky enough to win! Thanks for the giveaway. Thanks for participating in this blog hop and the great giveaway! I'm looking forward to reading "City of Fallen Angels". Then new Beka Cooper book, Mastiff, by Tamora Pierce!! I'm really lookingforward to Wolfsbane (and of course AtU)! I am new to your blog. I'm looking forward to reading Wither. Thanks for the chance to win. I am looking forward to reading Unearthly by Cynthia Hand. I'm looking forward to read my ginormous stack of books on the headboard of my waterbed. It is humiliatingly large and I have put myself on book probation until I whittle it down. I am also looking forward to Desires of the Dead and Secrets: The Ivy book two. I have so many sequels I want to read this year.